While you may have overlooked the unassuming tote bag, the handbag style is every office-bound person's unsung hero. Sure, during your college days, a canvas tote served more as a practical necessity rather than a polished, fashion-forward option. 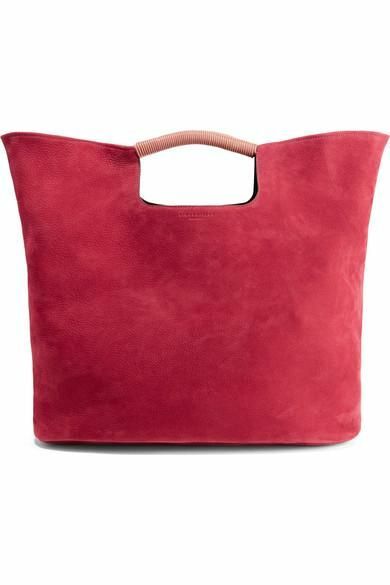 But now, the structured tote bag has resurrected as an item everyone should have in their closet. From oversize options to hold everything including your laptop, gym clothes, and lunch to smaller sizes that'll act as the perfect accessory to your powerhouse work ensembles, a chic tote bag is truly an indispensable purchase. And of course, we can't ignore the fact that this bag is perfect for all your travel needs. Need to add another to your collection? We've pulled together our favorites that are both chic and sensible. Use these to carry everything you could need, both in the office and out. Add a pop of color with this tote. This sturdy bag will take you far. A white tote will definitely stand out. This will look so good with all your work ensembles. You can't go wrong with the price here. A tote with an edge. Who doesn't love this caramel color? A classic tote will never steer you wrong. Perfect for holding your work necessities. You'll never regret making an investment on these.